In addition to recent news that WGCIT resident startup BioLumic raises $5M Series A (3/20/18), here is additional news from Western Growers Center for Innovation & Technology (WGCIT), an agtech incubator in Salinas, from graduates and current residents. 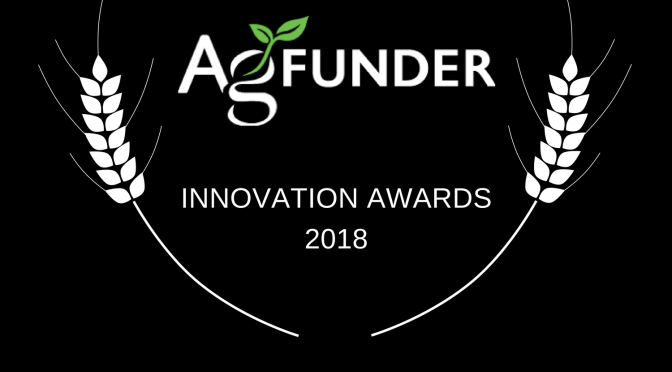 AgFunder announced their 2018 Innovation Awards at the AgriTech Summit in San Francisco yesterday. iTradeNetwork, WGCIT resident, has launched iTracefresh Transit. Hazel Technology, WGCIT resident, raised $3.26 Series A.
Ripe.io, WGCIT resident, was accepted in to SparkLabs Cultiv8’s First International Cohort and, as mentioned above, just won AgFunder Innovation Award. FarmWise, WGCIT resident, won a $5.7M Seed Round in December 2017. Concentric Power, WGCIT resident, will offer $100M in Cogeneration and Microgrid Project Finance.